Staff: Tiziana Andina, Leonardo Caffo, Elena Casetta, Davide Dal Sasso, Pietro Kobau, Vincenzo Santarcangelo, Giuliano Torrengo, Vera Tripodi. The overall aim of DOC is to renew the field of social ontology, thereby finding new applications of research, and inspiring new perspectives in other areas of ontology (e.g., ontology of biology, ontology of cognition, ontology of arts, ontology of time). 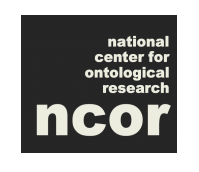 The project has two main objectives: (A) Re-shaping the theoretical ground of social ontology; (B) Opening new frontiers of ontological research.